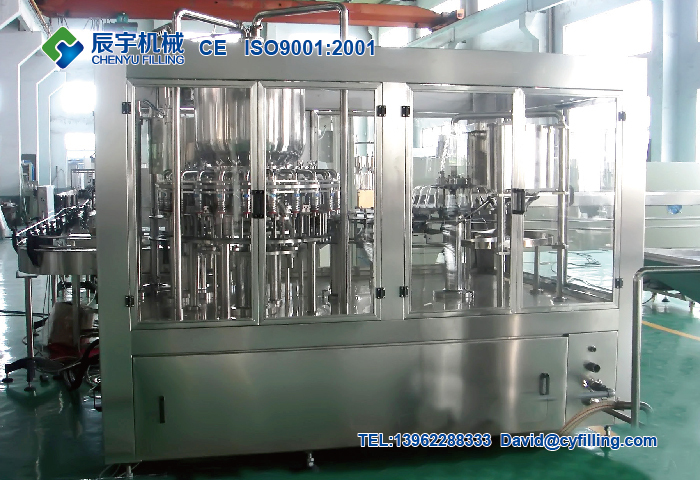 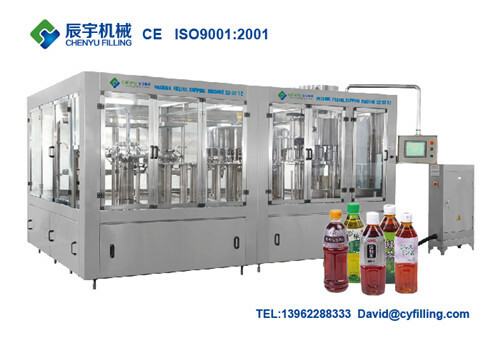 ﻿ Juice Filling Machine system | water filling machine|water bottling machine|bottle filling machine|Suzhou CHENYU Packing Machinery Co., Ltd. 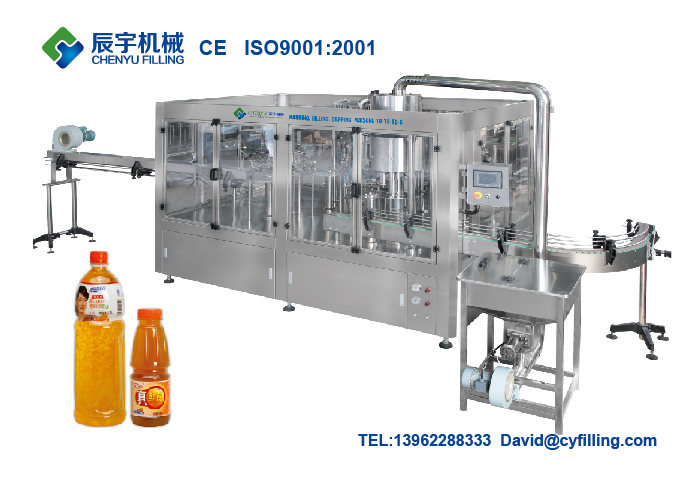 Hot Filling Equipment Fruit flesh hot filling equipment adopts bottle neck holding transmission technology to realize fully automatic sterilizing ,bottle rinsing,pulp filling,juice filling and cap screwing.It employs single cavity plunger type of fixing filling volume technique and is equipped with perfect temperature control system,reverse-flow system,automatic cleaning system and control program. 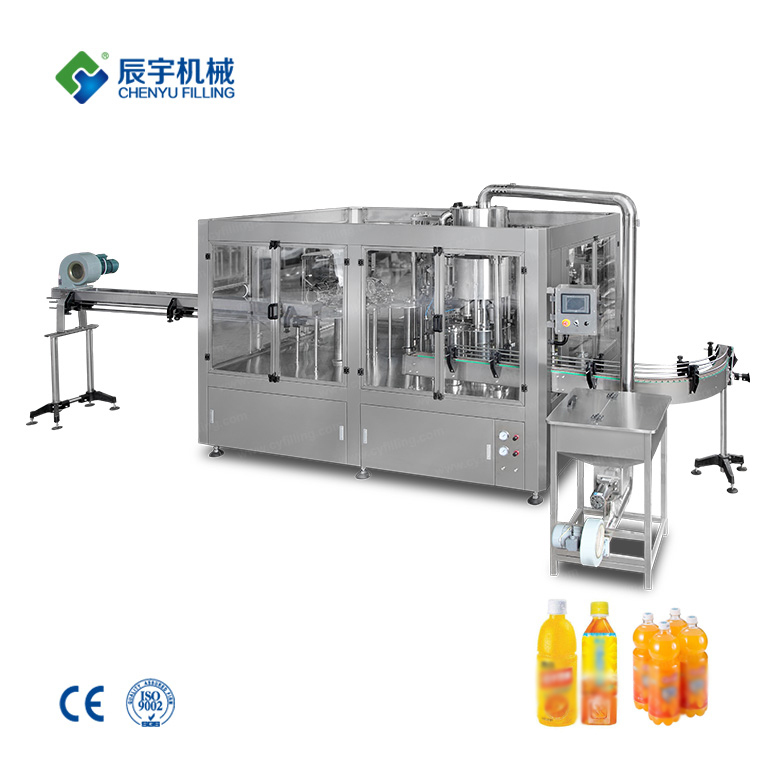 Each machine element that contacts with the liquid is made of high quality stainless steel and food-grade rubber.